I love to cook and I can cook. I think the fact you can sort of chuck it all together appeals to me- I love to chuck the rule book out. This year I have loosely dedicated myself to become a better baker because it's such a lovely skill to have. 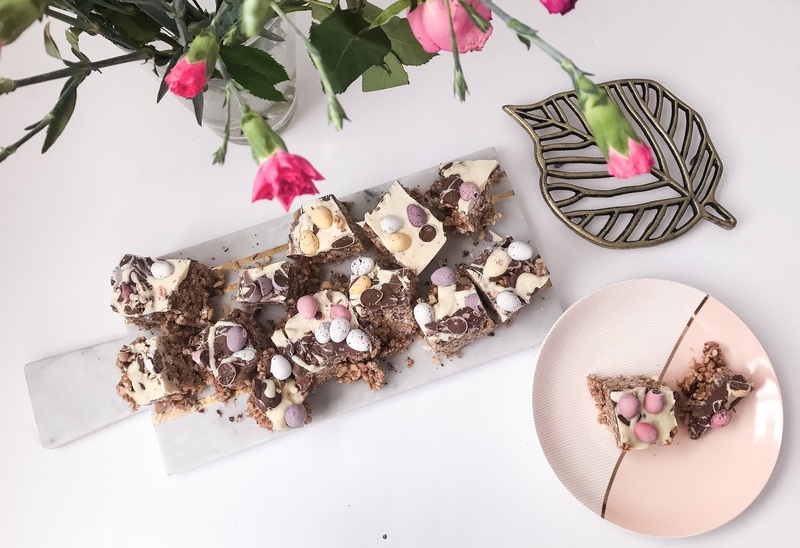 My fellow bloggers here at TQR; Zoë and Toni are both beautiful bakers and quite frankly they're showing me up. 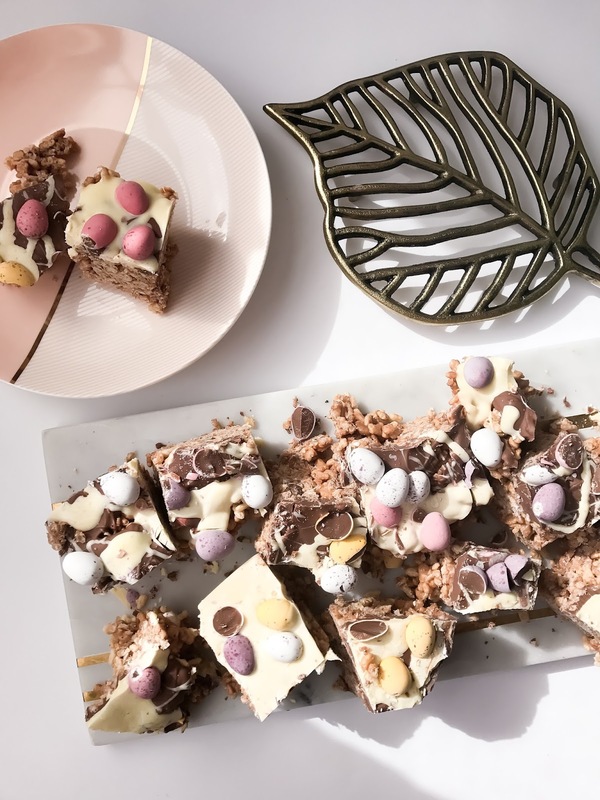 So with that in mind I have put together a really easy but tasty tray bake which has been customised for Easter. Perfect for if you're trying to impress family and friends but your cake baking leaves much to be desired. Please let us know if you decide to make it and tag us in your pictures! This sounds so good! I've bought the ingredients to make Easter nest cakes today! This is definitely my sort of baking - chocolatey, easy and most importantly tasty! 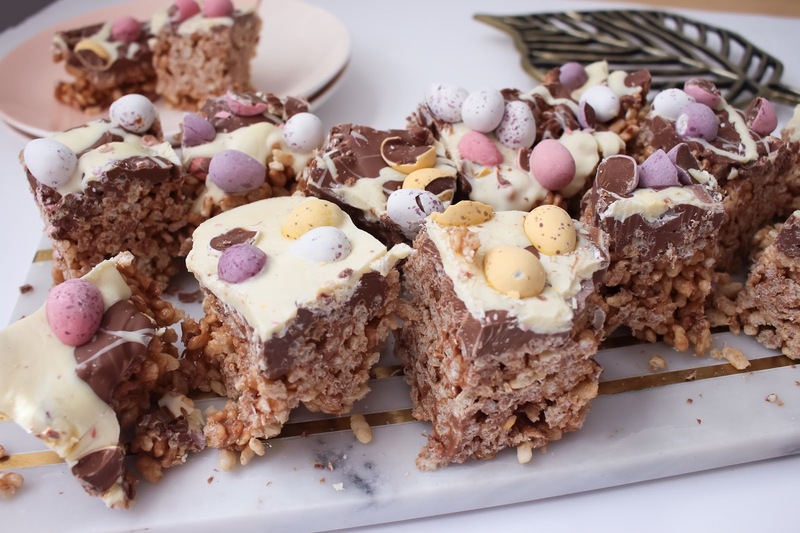 We love to make easter nests at this time of year but I may have to give these a whirl!